4Cs, 4C's The four main quality aspects for consumers to consider when buying diamonds, according to De Beers. 6 The atomic number of carbon, of which diamond is composed. 10 Reasons Ten reasons why you should never accept a diamond ring from anyone, under any circumstances, even if they really want to give you one, by the The Center for Popular Economics. 47th Street West 47th Street is the central location of the diamond industry in New York and the USA. 58 There are 58 facets on a round brilliant cut diamond, including the culet. 100 Points 100 points = 1 carat. Abrasion, Abrasions Antique, and other old or heavily used diamonds can have abrasions, tiny nicks along facet junctions, producing white fuzzy lines instead of sharp crisp facet edges. Abrasive, Abrasive To wear down. Industrial diamonds are used as abrasives in grinding wheels and drill bits, and also used in finer grades (smaller particle size) to polish materials. Academy Awards (Oscars) Each year, a number of stars and celebrities are used to promote diamonds. Acronyms Acronyms of D.I.A.M.O.N.D. include Defense Intrusion Analysis & Monitoring Desk, Development and Integration of Accurate Mathematical Operations in Numerical Data-Processing, and Dow Industrial Average Model New Deposit Shares. Adamant Research Laboratory De Beers established the Adamant Research Laboratory in 1956 to intensify research into diamond synthesis. In 1958 De Beers produced its first synthetic diamond, and commissioned a synthesis plant in 1959. Adamantine Refers to the surface lustre of diamond. Adamas The word diamond comes from the ancient Greek word adamas (αδαμας), meaning unconquerable. Africa Africa dominated diamond production during the 20th century, with mining activity centred in Botswana and South Africa and concentrated in the hands of De Beers. But, although Africa is still the centre of the industry, the last decade has seen an expansion of production in Canada and Russia. AGS, A.G.S., American Gem Society The American Gem Society was established in 1934 with a vision to create an association of fine jewelry retailers dedicated to setting and maintaining the highest possible standards of business ethics and professionalism in the jewelry industry, according to its website. Anglo American Corporation Anglo American Corporation was founded in 1917 by Sir Ernest Oppenheimer to exploit the gold mining potential of the East Rand. Owns about 45% of De Beers. Anglo American PLC Anglo American plc was formed in May 1999 through the combination of Anglo American Corporation of South Africa (AACSA) and Minorco. ASEA, A.S.E.A, Allmana Avenska Elektriska Aktiebolaget Swedish electrical company which was the first to synthesize diamond, on 16th February 1953, headed by eccentric scientist Baltzar von Platen. Amsterdam Amsterdam, was a major diamond cutting center in the nineteenth century, but lost almost all its gem cutters to Antwerp, due in part to strict working conditions imposed on the Dutch diamond-cutting factories by labour unions in the prewar years. Allnatt A 102.29 carat cushion cut diamond certified by the GIA as Fancy Vivid Yellow, VS2 clarity. Alluvial Many diamonds are sourced from alluvial deposits in existing or previous river beds. Alluvial diamonds are usually of gem quality, probably because lower grade stones would have been damaged or destroyed. Anchor Mark The Birmingham, UK, Assay Office have recently started a diamond grading and certification service using Anchor Mark as a trade mark. Angle, Angles To achieve maximum brilliance, there are many angles which are important in diamond cutting. Angles determine proportion. Angola Diamonds were discovered in Angola in 1913. Since 25 years of civil war ended in 2002, Angolan production should be important, but there are still problems. Although Angola is rich in gem quality diamond deposits, its output has been variable following long periods of civil war or other armed conflict. Anniversaries De Beers invented and have promoted the concept of anniversary bands or eternity rings. Anniversary The sixtieth (60th) anniversary is a diamond jubilee, also we have recently seen the seventy fifth described as a diamond wedding anniversary. Antwerp, Anvers, Antwerpen A diamond trading centre since about 1300, it grew in importance in the nineteenth and twentieth centuries as probably the world's most important cutting centre. It is still one of the main international diamond trading cities. Centred around Hoveniersstraat, Schupstraat, Rijfstraat and Pelikaanstraat. Antwerp Diamond Bank Antwerp Diamond Bank was founded back in 1934 by the three leading Belgian banks and Henfin, a holding company, owned by the De Beers Group. It is now owned by KBC and currently has offices in Antwerp, Geneva, New York, Hong Kong and Mumbai. Antwerp Diamond Bourse A meeting place for dealers to trade, mainly polished diamonds. Antwerp Rose A hexagonal rose cut with 12 upper facets, and a flat base facet. Apollo Diamonds In 2003, Apollo Diamonds Inc of Boston Massachusetts announced they were to market CVD grown diamonds including pure white, light pink, blue and black. Appraise, Appraisal Appraisal is carried out on rough and polished diamonds at many stages to asses quality and market values. Argyle Argyle Mine in Western Australia, owned by RTZ, opened in 1985, had produced about 650 million carats by open cast mining, and will probably change to underground pit methods from 2007. The Argyle mine is also famous for pink and other coloured diamonds. Arrows, Hearts and An optical pattern discernable in some well-proportioned diamonds, and marketed as a demonstration of excellent cutting. Assurance Programme Best Practice Principles is an assurance programme to be rolled out across the entire De Beers group, as well as to Sightholders and their business partners "to enhance and uphold the fine values diamonds represent". Auction Prices Although we do not necessarily believe that auctions are the best way to buy and sell diamonds, auction results are published, and can form some basis for price guides. Aurora Collection An important collection of natural fancy colour (coloured) diamonds, started by Alan Bronstein, and catalogued in the 750 page book Collecting & Classifying Coloured Diamonds by Stephen C. Hofer. Australia Diamonds were discovered in Australia in 1851, and Australia remains a major producer. Probably the world's largest producer by volume. Ayer US Advertising agency for De Beers from 1938, created the slogan "A Diamond is Forever" under its president Gerald M. Lauck. EGL, E.G.L., European Gemological Laboratory European Gemological Laboratory claims to be an international independent leader in diamond grading and training for all diamond business solutions. Eight Cut Also called "single cut". Diamonds, usually small, with only 18 facets instead of the full 58 on a brilliant cut. Eights The first eight facets cut on each of the crown and pavilion of a diamond, placed or ground by a "blocker". Element Six The name of the former De Beers Industrial Diamonds group of companies. "Element Six" is a reference to carbon's atomic number 6. Emerald Cut A square of rectangular shape with cut (mitred) corners, forming an eight sided figure (octagon), and step cut; derives it name because it is the commonest shape of cut for emeralds. Looks glassy, and modern facetting styles such as radiant cut produces more brilliant and attractive stones. Engagement De Beers advertising over the last century has established a "tradition" that a woman should receive a diamond ring as an engagement symbol. Enhance, Enhanced, Enhancement To improve the colour or clarity of a diamond in some manner. See colour enhancement or clarity enhancement. Eppler Cut Eppler devised the specifications for this "Practical Fine Cut" in 1939. Eternity De Beers have extended the diamond engagement ring "tradition", by brainwashing us to believe that a diamond eternity ring should also be a tradition on the first wedding anniversary, or the birth of a first child. Eureka The name of a famous diamond. European Cut A European version of "ideal" cut used and preferred in Europe following the research of Tolkowsky and others. Extra Facet An additional facet polished onto a diamond, usually to remove a "natural" or small surface blemish. Exceptional White The name of the top colour in the CIBJO colour grading scales, equating to D and E colours in the GIA scale. Eye Clean No visible inclusions with the naked eye, therefore at least SI in clarity. Face A flat or flattish side or plane, particularly in a rough diamond crystal. Face Up Refers to the viewing angle of a polished diamond, so that the table faces approximately towards the viewer, rather than the viewer looking through the side of the stone. Facet, Facets The flat surface or planes of a polished diamond. Facetting, Faceting The process of grinding and polishing flat faces or sides on diamonds. Famous Most famous diamonds are so because of their impressively large size, others because of their colour, or a combination of these two factors. Fancy Colour Most diamonds are near-colourless, but strongly coloured diamonds are rare and valuable, and are usually known as "fancies". Fancy Shape Applied to any shape diamond except round. FAQs, F.A.Q.s Most frequently asked diamond questions should find their answers on this page, or linked from it. Feather The apt description of a common type of diamond inclusion, an imperfection in the crystal structure of the diamond, believed to be due to stress, many amateurs call this a crack, and professionals may refer to it as a fracture, especially if it reaches the surface. Under magnification, it does appear very much like a feather. Can be quite transparent, or may be opaque and white. Field, Charles Partner of Henry Morse, who developed the first diamond bruting machine (to grind girdles), and other diamond cutting equipment. Fifty Eight Facets The number of facets on a brilliant cut diamond, including the culet. Fill, Filled, Filling Refers to the practice of filling open fissures in diamonds, usually with glass. It is not entirely satisfactory, and we would not recommend it. It should always be notified to the buyer, to do otherwise would be dishonest and fraudulent. Finger, Fingers The "Ring Finger" is the third finger on each hand, but the left hand is the conventional finger for a wedding ring, engagement ring, or eternity ring. De Beers have recently started promoting the "RIght Hand Ring". Finish A word which is loosely used to imply the quality of polish and symmetry on a diamond. Fire The bright flashes of coloured light given off by diamonds due to their differential refraction of light, known as dispersion. Fire Rose Cut One of a number of "flower cuts" developed by Gaby Tolkowsky in about 1997 for De Beers. Firestone Firestone Diamonds plc is a UK-based international diamond mining and exploration company with operations in the Namaqualand region of South Africa, Botswana and the United States. Fish Eye, Fisheye A detrimental optical effect in diamonds which are cut too shallow, particularly with a shallow pavilion, or with an overlarge table. An opaque whitish area is actually an reflection of the girdle, but it does detract from the appearance of the stone. Fissure A crack, gletz, feather, possibly reaching to the surface. Flash Effect An optical effect seen in fracture filled diamonds which is a useful diagnostic. Flat A lapidaries lapping wheel (lap) for grinding or polishing gemstones, and is often impregnated with diamond. A flat or relatively shallow piece of diamond rough. Flats A term used in grading rough diamonds, applied to diamond crystals of irregular shape with flat parallel sides like pieces of broken glass. Flat Screen TVs Using diamond dust may lead to cheaper wide and flat screen monitors and LCD TV screens, according to University of Bristol and Advance Nanotech. Flaw In inclusion or other feature which is visible or reduces clarity in diamonds or other gems. Flawless Without any inclusions or features adversely affecting clarity. Florentine The name of a large famous diamond. For a Few Dollars More How al Qaeda moved into the diamond trade, 1993 report by Global Witness. Fluorescence Often mis-spelt as flourescence by those who should know better. The emission of visible light displayed by some diamonds and other gems when viewed in ultra-violet or other light. Cause frequent concern by consumers on discovering that one diamond or more in a cluster glow under "disco" lighting. Forever Word connected with diamonds by the Ayer advertising agency in the phrase "A Diamond is Forever", also celebrated in a song of similar name "Diamonds are Forever" sung by Shirley Bassey in the 1971 James Bond film of the same name. Four Cs The four well-known factors affecting the price of a diamond. Fracture An inclusion in a diamond, usually one reaching the surface. Fracture Fill, Filled, Filling A non-permanent and less than ideal method of improving the apparent clarity of diamonds by filling cracks in them with glass. Full Cut With 58 facets, i.e. usually a brilliant cut, and usually round. Gabrielle Cut A "triple brilliant cut" with 105 facets developed by Gaby (Gabi) Tolkowsky in about 1997. GAGTL, G.A.G.T.L. Gemmological Association and Gem Testing Laboratory of Great Britain. Now Gem-A. Gauge, Gauges Any of various devices and instruments used to estimate the weight of diamonds, by measuring or estimating physical dimensions, such as diameter, depth, length. Some are better than others. GE, G.E. General Electric In 1955 the GE Research Laboratory announced the invention of the first reproducible process for making diamonds, a process that became the basis for GE's man-made industrial diamond business, which today is one of the world's major sources of industrial diamond abrasives. In 2000 GE Gem Technologies integrate high pressure / high temperature technology with knowledge of diamond structure to eliminate impurities and restore the color of rare high-purity diamonds, and market them as Bellataire Diamonds. Gem Small article of great value or beauty, gemstone. Gem-A Gemmological Association and Gem Testing Laboratory of Great Britain. Previously known as GAGTL, G.A.G.T.L..
Gem Defensive Programme Described by Wired (wired.com) as a none too subtle campaign to warn jewelers and the public about the arrival of manufactured diamonds. Gemesis Manufacture and market "Gemesis Cultured Diamonds, based in Sarasota, Florida, USA. Gemmologist, Gemologist A person with expertise in gemmology, a gemstone expert. There are formal qualifications, such as F.G.A. (Fellow of the Gemmological Association) in the UK. GE POL Laser inscription on girdle of HPHT treated diamonds marketed by General Electric Company and Pegasus Overseas Limited. The GE POL name was briefly changed to Monarch, and then to Bellataire in 2000. Gerald Famous member of the Ratner family, became Managing Director of his family's established retail jewellery business, expanded it greatly, acquiring H. Samuel and others, but was blamed for the share price drop after his "total crap" and other comments. Now operates as geraldonline, and is believe to be subject to an agreement barring him from using the Ratner name. Getter, Nitrogen A "nitrogen getter" is an agent to attract and absorb nitrogen when growing synthetic diamonds, to obtain colourless diamonds rather than yellow ones. Aluminium has proved to be effective. GIA, G.I.A. The Gemological Institute of America. Styles itself as the world's leading authority on diamonds and other gemstones. Market leader for diamond and gem certificates by virtue of its location and size. Gipsy, Gypsy Setting The gypsy setting is a recessed setting in which the stone is sunk into the metal. There are often engraved designs around the stone (especially star patterns). This type of setting was developed in the late 1800's and was often used for rings. The gypsy setting is also known as the "star setting." Girdle The widest part of most diamonds, the middle between the crown and pavilion. May be rough (matt), polished or facetted. Even if facetted, it is only counted as one facet. Girdle Facet Any of the facets adjacent to the girdle on a brilliant cut or other diamond, split into upper (crown) girdle facets, and lower (pavilion) girdle facets. Gletz Dutch or Afrikaans for feather. Also spelt glatts, glatze, gles, and glets. Global Witness An organisation set up in 1993 by three individuals to counter conflict and corruption in countries often rich in resources, and promote the welfare of the resident population. Global Witness Reports Various reports by Global Witness into a number of unsavoury aspects of the exploration extraction and exploitation section of the diamond industry, leading to the Kimberley Process. Gold Yellow precious metal used in most jewellery in various alloys. Golden Jubilee The largest faceted diamond in the world, weighing 545.67 carats. Goods An expression sometimes used by diamond dealers meaning "diamonds". Grade A recognised measure of an aspect of quality, mainly clarity and colour, but can also be applied to proportion and other aspects. Grading The process of appraising a diamond, and allocating grades to it. Grain Diamond crystal have different strength bonds in different directions. These directions are known as grain rather like the grain in wood. Also an obsolescent unit of weight, equal to a quarter carat or 0.042 pennyweight, 0.002083 troy ounce,	0.0648 grams. Grainer A quarter carat (approximately) diamond. A two-grainer would weight about a half carat, a three-grainer about 0.75 carats, and a four-grainer about one carat, etc. Graining Internal Graining refers to internal irregular crystal growth. May appear milky, like faint lines or streaks, colored or reflective. Grease Diamonds have an affinity for grease and oil. They act as "grease magnets". Grease and oil on the surface of diamonds reduces their effective RI and therefore their brilliance. Grease Tables Because diamonds stick to grease, grease table are used in diamond mines, and have been since 1896, to help separate diamonds from crushed rock. Great Chrysanthemum A 198.28-carat fancy brown pear shaped diamond. Green A rare colour of diamond. Grit Small pieces of rough diamond, used as industrial abrasives, may be natural or synthetic. Guinea This west African country is currently about the world's tenth largest diamond producer by value. Gyémánt Gyémánt is the Hungarian word for diamond. Hard, Harder Hardest Diamond is the hardest known naturally occurring substance, although harder substances have been synthethised, including harder diamond! It is likely that naturally occurring harder substance will be discovered in the future, but these as likely to remain rare. Hardness Hardness can be defined and measured in numerous ways. Mohs' hardness scale is the simplest and best known scale. Hardness is directional in most gemstones. Harry Winston Beverley Hills jeweller with a celebrity client list. Has handled a number of large and famous diamonds. Hatton Garden Street and surrounding area on London, one of the two main jewellery trade areas in Britain. Heart A fancy shape of diamond, usually a modified brilliant cut. Hearts and Arrows An optical pattern discernable in some well-proportioned diamonds, and marketed as a demonstration of excellent cutting. Heavy (Heavily) Spotted, HS, H.S. A descriptive diamond clarity grade which appears to be becoming obsolete, two grades below P3 (I3). Herkimer Village, Town, and County in the Adirondack Mountains of New York State. Quart crystals can be found by rockhounds. They are incorrectly and misleadingly described as "Herkimer Diamonds". Highest Price There are various ways of considering the highest price paid for a diamond, total price, per carat price, and relative price in today's money. We will be adding a highest priced diamond page. Highest Price Per Carat From 1987 to 2007, this record was held by the 0.90 carat Hancock Red, but in October 2007, this was beaten by a 6.04 carat octagonal blue diamond. Hofer, Stephen C. Author of Collecting & Classifying Coloured Diamonds, An Illustrated Study of the Aurora Collection. Hope The world's most famous, and infamous, blue diamond. Also the largest blue diamond, although it only just makes it into the top 100 largest diamonds. HRD, H.R.D., Hoge Raad voor Diamant Translates as "Antwerp Diamond High Council" in English. Represents Belgium and the Belgian diamond industry. Hue An aspect of colour, important factor in viewing and grading fancy coloured diamonds. I1, I2, I3, Included, Imperfect I1, I2, and I3 are all grades in the GIA clarity scale. IDB, Illicit Diamond Buying In South Africa there is a law prohibiting 'Illicit Diamond Buying' or IDB. Any rough diamond found on public land must be sold to the government who resells it to De Beers. Ideal, Ideal Cut Theoretically perfect cutting proportions for (round brilliant cut) diamonds. Exact specifications vary. Many mathematical models ignore girdle thickness. IGI, I.G.I., International Gem Laboratory Organisation with laboratories located in the heart of the gem & jewelry districts throughout the world, including New York, Antwerp, Mumbai, Bangkok and Tokyo. Illusion A style of setting making a diamond appear larger than it is, usually by setting into "white" gold, rhodium plating, and diamond cutting the surrounding area of metal. ImaGem ImaGem Inc. is a manufacturer of equipment for grading diamonds by colour, clarity, carat weight, cut, brilliance, intensity, sparkle, and fluorescence. Imitation Anything other than diamond which imitates diamond. Other words used include simulant and fake. It is important to note that synthetic diamond is real diamond. An imitation can be natural or synthetic. Imperfect, Imperfection, I Clarity grading term. Incident Ray The name of a ray of light as it enters a diamond, or change of medium. Included Possessing inclusions, mainly internal features which impair the brilliance or clarity of a diamond. Inclusion An internal feature or imperfection which reduces the clarity or brilliance of a diamond. Incomparable A large diamond weighing 890 carats in its rough state, 407.48 carats polished, the third largest diamond ever cut. India Until the discovery of diamonds in Brazil about 1730, India was the only known source. All known Indian diamond sources are now depleted and uneconomic, but India is now an important cutting centre, mainly because of low labour costs. The first known reference to diamond is a Sanskrit manuscript, the Arthsastra ("The Lesson of Profit") by Kautiliya, a minister to Chandragupta of the Mauryan dynasty in northern India. Industrial Low grade or very small diamonds which are used as abrasives or other industrial purposes. Information Facts and data. It is important to distinguish information from propaganda, which is essentially skewed or distorted information. Most salespeople, for example, will offer information which is limited and selected to optimise their chance of selling to you. Integrity Integrity is important in most business to business markets, and the commercial diamond market is said to operate with integrity. Some proponents of the Kimberley Process speak about the integrity of diamond itself, as though this had ever been questioned. What they presumably mean is that there is a perceived threat to the welfare of the diamond industry by peace activists. Internally Flawless, IF, I.F. A clarity grade which allows for naturals or other surface features or imperfections. International Diamond Manufacturers' Association, IDMA, I.D.M.A. The International Diamond Manufacturers' Association was formed at the end of World War II, and first met in Antwerp in 1946. In the Rough "Diamond in the rough" is an expression meaning somebody or something having exceptionally good qualities or the potential for greatness but lacking polish and refinement. Investment Although a diamond purchase may prove to become a good investment. Our advice is to buy diamonds for the pleasure they invoke by their ownership and use. Because diamonds are not a homogenous commodity, the secondary market in them is not particularly liquid, compared with that for any other commodity. Investment Trust In 1952 De Beers formed the De Beers Investment Trust, to hold the significant portfolio of industrial, gold and related mineral, and agricultural interests that the company had built up to diversify its income streams. Iron Iron is used as a solvent and catalyst in the production of synthetic diamonds. Irradiated A diamond which has been subject to radiation, usually to improve its colour. Most processes are kept as commercial secrets, but no residual radiation is retained by the treated stone. Isomer Diamond is one of the isomers of carbon. Isomers are molecules which have the same molecular formulae but different molecular structures. Isotropic Being singly refractive, the opposite of doubly refractive (bi-refringent or anisotropic). Diamond is normally isotropic, but can be bi-refringent because of inclusions or internal strain. Israel Israel is a leading centre for diamond trading and cutting, probably originating in the portability of diamonds, and the fact that many Jewish populations have faced upheavals and displacement. Jews form a major part of the world diamond trading and cutting industry. Jade A description of the colour of certain green diamonds. Japan Diamond engagement rings were unknown in Japan as late as the 1960's. De Beers has successfully targeted this market starting in 1967, and almost all Japanese brides now receive, or expect to receive, a diamond engagement ring. Jeffries, David A 1750's pioneer in the study and practice of diamond cutting. Jewel, Jewelry, Jewellery Diamonds are not necessarily jewellery, and vice versa, but diamond jewellery accounts for the bulk of diamond demand and sales by value, and is an important section of the jewellery market. Jeweller One who works with jewellery. Many retail jewellers are merely shopkeepers. Jubilee A shape of diamond cut with 8- facets. A large (245 carats) and famous diamond, originally called the Reitz diamond. Renamed when it was recut in 1897 during Queen Victoria's diamond jubilee year. Kalahari Bushmen There has been much publicity about the Kalahari Bushmen who are being forced from their ancestral homelands by the Botswana government following diamond discoveries. Karat, Karats, Karat Weight Karat is the American spelling of carat, although it appears to be used more in respect of gold alloys, whereas the English spelling carat is often used relating to the weight of diamonds or other gemstones. KBC Group KBC Group was created in 2005 as a result of the merger of the KBC Bank and Insurance Holding Company and its parent company, Almanij. It is the largest bank in Belgium, and owns Antwerp Diamond Bank. Keel A linear facet edge, or possibly small facet, on the bottom of step cut or rectangular diamonds, as opposed to a culet. Kiduah Meyuhad, KM, K.M. Kiduah meyuhad is hebrew for "special drill". It refers to a process for internal laser drilling of diamonds first developed in 2000. Kimberley Location of the "Big Hole", originally an area containing many small diamond claims, later bought up by De Beers. The Kimberley Mine. The South African City which grew up around the mine. Kimberley Octahedron The Kimberley Octahedron is the largest diamond in the world at about 616 carats. Kimberley Process An international agreement on methods to counter conflict diamonds, possibly another tool for De Beers to restrict competition. Kimberlite The yellow or blue "ground" rock which forms diamond "pipes", and in which most diamond is found. Kings Diamonds could only be worn by kings in many cultures until about the 15th century. Knot The use of the term knot or naat parallels the same word applied to wood. It is a part of a diamond which is difficult to cut or polish because of twinning, negative crystal growth, or similar feature. Kohinoor, Koh-i-noor, Koh-i-nur, The Kohinoor (mountain of light) was given to Queen Victoria in 1851, and is now part of the Crown Jewels. It weights 108 carats. La Luna Believed to be about 200 carats, the La Luna diamond is a D colour Heart shaped stone. Large, Largest The largest diamond known is a star 'Lucy' discovered in February 2004 by Harvard-Smithsonian Center for Astrophysics. Largest on earth are listed on Large & Famous Diamonds. Laser, Lasered, Lasering Diamonds with a dark inclusion caused by iron oxide or other salts in internal cavities can be laser drilled, then the offending material leached out using acid. An acceptable method of clarity enhancement, providing the drill hole is not re-filled with glass to disguise it. Should be disclosed to purchasers. Diamonds can also have inscriptions etched by laser, usually onto their girdle. Lazare Kaplan A major (U.S.) diamond sightholder, cutter, and wholesaler of diamonds. Caused a considerable stir when it announced in March 1999 that it was to market HPHT enhanced diamonds which were almost indistinguishable from natural ones, through their Pegasus Overseas Limited subsidiary. Leo The Leo cut is another of the proprietary hybrid cuts, made by Leo Schachter. In the UK, Leo appear to have an exclusive distribution agreement with Ernest Jones. Leveridge Gauge A proprietary brand of micrometer gauge for measuring diamonds. Liberia There is still a United Nations ban on export of diamonds from Liberia, due to civil war. Conflict diamonds are probably smuggled out. Light Because of its high dispersion and refractive index, diamond handles light in a characteristic way. Light Brown Light brown diamonds, not intense enough to be considered as fancy brown, often appear quite white. Light Cape A diamond colour grade between "silver cape" and "cape", now becoming obsolescent because of the GIA system of grading by letters. Light Yellow A grade of fancy yellow diamond. Light, Standard For viewing and appraising diamonds, a standardised light source is desirable. There are lamps which are sold as diamond lights, and at least one specification a standardised light source, and colour temperature. London Home to one of De Beers main offices, also to Hatton Garden. Previously a fairly important diamond cutting centre. Lonsdaleite A rare form of diamond with a hexagonal atomic structure discovered in meteoritic diamonds from Canyon Diablo Arizona, named after the British mineralogist Dame Kathleen Lonsdale, who helped advance the study of natural diamond crystals. Loudspeakers Accuton make audio loudspeaker membranes of diamond because it is the best material for the job. Louis IX, King of France Thirteenth century king of France who passed a law restricting ownership of diamonds for the king. Loupe French word for magnifying glass, universally applied to the version used by most jewellery professionals, with a 10X magnification, although other powers are used. Diamond loupes are normally high quality, colour corrected (achromatic). Loupe Clean Indicating that a diamond contains no visible inclusions when using the industry standard magnification of ten times (10x). Lower Girdle Facet A diamond facet adjacent to and below the girdle (on the pavilion). Luminescence Some diamonds luminesce (emit light) when exposed to sunlight or other ultraviolet-light sources. The light the diamonds emit is usually light blue, but yellow, orange, and red luminescence occurs in some stones. Lustre, Luster The lustre of a diamond is its highly reflective surface sheen due to its high refractive index combined with the highly polished surfaces. Macle, Macles A twinned rough diamond crystal, often triangular and flattish. Also spelt maccle, maccles. Made A 'made' stone is one of excellent proportion and finish. Magnetic, Magnetism Diamonds are not usually magnetic, although iron and other inclusions can rarely cause a diamond to be magnetic. Synthetic diamonds can be magnetic because of inclusions of iron from the solution from which they were formed. Magnetic nano-diamonds have also been created. Main Facets The first sixteen facets to be ground onto rough diamonds, apart from the table and culet, also the main pavilion facets (the first eight on the pavilion). Marcasite Iron pyrites (iron sulphide) is often facetted and used as a cheap, but not very effective imitation for diamonds. Marigold Cut One of a number of "flower cuts" developed by Gaby Tolkowsky in about 1997 for De Beers. Marquis A very common mis-spelling of marquise. Marquise Also known as navette or boat shaped, but thousands of illiterate jewellers wrongly spell marquise as marquis! Mauve A colour description used for certain pinkish purple diamonds. Master, Master Stone Master stones are carefully selected diamonds used by diamond grading laboratories for colour comparison, they are also distributed for use by others who need to grade diamonds accurately. They are usually selected to lie as close as possible to each colour boundary. Mazel & Broche Luck and blessing. A traditional Jewish expression used at the conclusion of an agreement to buy and sell diamonds, usually accompanied by a handshake. The seller wishes the buyer good luck, probably because he wants to do repeat business with the buyer, but possibly also because he expects to get paid promptly. Melée, Mêlée Slightly woolly term for small diamonds, some consider 8 to 14 points as melée, other anything below 20 points. When sorting rough diamonds for size, it may refer to anything under about a carat. Millegrain, Milgrain Literally a thousand grains, setting style where a large number of small grains of metal are raised up to create the diamond setting, a form of rim or bezel setting. Millennium Star A large famous diamond, made even more famous by the audacious attempt to steal it and other diamonds from the Millennium dome exhibition. Milky Some over-fluorescent diamonds have a cloudy or milky appearance, especially in ultra-violet light or daylight. Mine A place where diamonds are extracted from the ground, by either open cast or deep pit mining. Mined An expression which has started to appear as a description for natural diamonds as opposed to created or synthetic (real) ones. We have also seen it used misleadingly in comparison with simulants. Mines Places where diamonds are extracted from the ground. Mining The extraction of diamonds from in-ground deposits, as compared with dredging or other recovery methods. Mineral A naturally occurring, homogeneous inorganic solid substance having a definite chemical composition and characteristic crystalline structure, color, and hardness, an ore.
Model, Models, Modelling When mass or batch production of a piece of jewellery is required, a model-maker will create a master model from which a rubber mould is made for subsequent lost wax casting of the piece in volume. Fashion models are used for photographic shoots for advertising and media promotion of diamonds. Modern Brilliant Cut A diamond normally with 58 facets including the culet, polished using relatively modern theory, but not necessarily ideal or near ideal proportions, usually round unless otherwise stated. Modified Brilliant Cut A diamond cut in a shape or style other than round, such as oval, pear, marquise, heart, princess, radiant, or trilliant. Could also be applied to round stones based on the brilliant cut. Moh, Mohs German scientist and geologist who studied minerals and classified them by physical characteristics. He devised a hardness scale, Mohs Scale, which is named after him. Mohs Scale, Moh's Scale, Mohs' Scale Simple comparative hardness scale devised by Friedrich Mohs about 1800, and still in use. Moissan, Henri French scientist born 1852, discovered carborundum, was awarded the Nobel Prize in 1906 for his work on fluorine, and his development of the electric furnace. In 1892, Moissan theorized that diamonds could be synthesized by crystallizing carbon under pressure from molten iron. Moissanite Transparent silicon carbide marketed as a diamond simulant. Named after Henri Moissan. Molecule Diamonds are composed of large molecules of carbon atoms with strong bonds in all planes. Monnickendam The only remaining major British diamond cutter. Moonstone Not only the name of a gemstone, but also the name of a fictional famous diamond in a classic genre-setting detective mystery story by author Wilkie Collins. Morse, Henry Henry Dutton Morse, 1826 to 1888, was an early American diamond-cutter, who invented diamond cutting machinery, and produced high quality stones through good proportion many years before Tolkowsky. Mount A piece of jewellery into which a diamond is set. Mounter Person who makes the piece of jewellery into which gemstones will be set by a setter. Mounting The process of making a ring or other piece of jewellery into which gemstones will be set. Also an American word for a mount. Moussaieff A London jeweller, heading by Shlomo Moussaieff, from Bukhara in Uzbekistan. It has a number of high profile Arab customers, and is notable for having owned a number of record breaking large or famous diamonds, including the Moussaieff Red, and now the Moussaieff Blue. Muddy A descriptive term used by some mines or producers in preliminary sorting of rough diamonds. Mugabe, Robert Believed to be a major force in smuggled Sierra Leone conflict or blood diamonds, and their laundering. Naat, Naats Dutch or Afrikaner word for knot, usually caused by twinning or change in crystal growth direction. difficult to cut and polish because of grain direction changes. Naif, Naife, Naives Said of a gemstone having a true or natural luster when uncut; e.g., of the natural, unpolished faces of a diamond crystal. Usually referring to a "natural" on a girdle. Nailhead, Nail Head A diamond with a dark-looking table, usually due to the pavilion angle being too high, partially by the viewer blocking light when viewed in sub-optimal lighting. Namibia Diamonds discovered in 1908. The fifth largest source of diamonds, mainly alluvial, recovered from coastal areas. Nanotechnology Carbon including its diamond isomer is an important material in nanotechology because of its many unusual and extreme properties. Natural, Naturals A natural diamond is one which was formed in the earth rather than synthetically. A natural is a surface mark or feature on a polished diamond which was present on the rough, and has not been polished away, often on the girdle, and may appear as a small matt, rough or glassy area. Needle A thin, sharp looking inclusion in a diamond. Nexus Diamond Nexus Labs of Franklin, Wisconsin misleadingly describe diamond simulants on their website as synthetic diamonds, and make numerous other dodgy claims. Nick A notch made on a rough diamond where it needs to be cleaved. A notch on a polished diamond, usually near the girdle. Nickel Used as a solvent and catalyst in production of synthetic diamonds. Nitrogen Present in small quantities in type 1 diamonds, the cause of yellow colouration. North Light Diamonds have traditionally been sorted in north light, often before midday, as this is considered to be a consistent colour, although special standardised diamond sorting lighting is now available and in common use. Nova Diamond In 1999, NovaDiamond of Utah announced its HPHT process to turn type 1 brown diamonds to yellow or vivid yellow-green. Octagon, Octagonal See 'Emerald Cut', and 'Radiant Cut'. Octahedron A solid figure having eight sides or faces. A rough diamond with this approximate shape. The commonest crystal formation of diamond. Off Made, Off Make Any diamond which does not reach good standards of cutting, particularly poor symmetry. Old Cut Any cut, usually round, predating the modern brilliant cut in style. Old Miner The old mine cut diamond is the earliest form of the modern brilliant cut. Also called the "cushion cut", it has a cushioned shaped girdle. This cut of diamond is characterized by a high crown, small table, deep pavilion and large culet. Other names for this cut are: old miner, Peruzzi cut, and triple cut brilliant. One Carat A weight of one fifth of a gram. Any diamond of this weight. Open Culet Culet which has been polished into a facet rather than being left as a point. Oppenheimer Sir Ernest Oppenheimer formed Consolidated Diamond Mines about 1920, and merged them with De Beers. His son, Sir Harry Oppenheimer was later Chairman of De Beers. Oppenheimer Diamond Research Laboratory Opened at Springs, on the East Rand, in 2001, together with the adjacent diamond-manufacturing plant, in the process of expanding, the largest and most advanced synthetic diamond centre in the world. Optic Axis Although not relevant in diamonds, optic axis is important when distinguishing simulants. Orange A rare fancy colour of diamond. Orlov A large and famous diamond, which is 189.6 carats, near colourless, and rose cut. Orlov or Orloff Black The Black Orlov (or Orloff) is a large famous diamond. Although not the largest black diamond, it is probably the most famous because of a supposed curse. It was originally called the Eye of Brahma, but was recut into three smaller stones. Oval A fancy shape of diamond, usually a modified brilliant cut. P1, P2, P3, Piqué, First, Second, Third Clarity grades of diamond in descending order, The American equivalents are I1, I2, I3. In a piquéd stone, the inclusion or inclusions would be visible to the naked eye. Palladium Important jewellery metal, used in high quality alloys of platinum and white gold. Panther, Pink The Pink Panther was the name of a fabulously valuable diamond which the jewel thief of the same name was trying to steal in the film "The Pink Panther starring Peter Sellers as Inspector Clouseau. Parcel, Parcels Paper envelopes for diamonds, and also, importantly, the diamonds they contain. Many diamonds are traded by the parcel, rather than the buyer being permitted to pick the best. Parcel Price A per carat price for buying an entire diamond parcel without selection. Sometimes a buyer is permitted to reject a small number of stones. Paste Glass used as imitation diamond. Also diamond grit or powder supplied or used in paste form as an abrasive for cutting and polishing any material including other diamonds. The paste may be made with oil or any other binder to facilitate application and adhesion to lapping wheels etc. Pavé From French, literally paved. Diamonds are other gemstones set in such a way that they substantially cover a surface of a piece of jewellery. Pavilion The lower part of a diamond, below the girdle. Pavilion Angle The angle between the main pavilion facets and the girdle. In diamond cutting and proportion, this is the single most important dimension, and should be around 40.75° to 41°. Pavilion Facet Any of the facets on the pavilion of a diamond, but usually referring to the main pavilion facets, as distinct from the lower girdle facets. Peg Brummy (Birmingham) word for claw as in gem setting. Pegasus Overseas Pegasus Overseas Limited, as subsidiary of General Electric market HPHT colour improved diamonds which they claimed were almost undetectable, causing a near panic in diamond markets when announced in March 1999. Pendant, Pendants A piece of jewellery designed to dangle or hang. Often diamond set. Percentage There are various ratios usually expressed as percentages which give indications of the accuracy of a diamond's proportions. Also a dealer's mark up. Perfect, Perfection Only D colour and flawless diamonds should be described as perfect. It is our view that perfection is illusory or elusive, as "perfect" diamonds viewed under 20 times magnification instead of 10 times, would probably reveal tiny features or imperfections. Phonon, Phonons The quantum of acoustic or vibrational energy, considered a discrete particle and used especially in mathematical models to calculate thermal and vibrational properties of solids. Phosphorescence Some diamonds and other gemstones and minerals continue to glow or emit visible light for a period of time after exposure to visible, ultra-violet or other light, after the light source has been removed. Photoluminescence The emission of visible light by a diamond due to the incidence of light of a different wavelength, including fluorescence and phosphorescence. Pick A "pick" is when a buyer is permitted by the seller to select one or more diamonds from a parcel. Picking Price Normally a higher price is charged to a buyer wishing to take one or more selected stones from a parcel, this is known as a picking price. Pink One of the rarest and most desirable colours for diamond. Pink Panther The Pink Panther was the name of a fabulously valuable diamond which the jewel thief of the same name was trying to steal in the film "The Pink Panther starring Peter Sellers as Inspector Clouseau. Pinpoint, Pinpoints Tiny inclusions, of pinpoint size, sometimes numerous. Pipe, Pipes A diamondiferous area composed of kimberlite, sometimes raised above softer surrounding rock, originally of volcanic origin as a lava flow. Piqué From French "prick", a needle or other inclusion in a diamond. First piqué (P1) is a clarity grade, the American equivalent is I1. Pit Diamond mine. Surface mark on diamond. Presence The presence or absence of colour, inclusions and other features considered when appraising and grading diamonds. Platen, Baltzar von Swedish scientist who was the first to synthesize diamond in 1953 while working for ASEA. Platinum Silvery gray precious metal often used for setting or mounting high quality diamonds as jewellery. Pochette A sealed plastic packet containing a diamond or diamond. Point A weight of one hundredth of a carat, written as 0.01 cts. The name of an old basic cut. Any sharp meeting place of three or more facets, such as a corner, or a closed culet; forms a weak point in polished diamonds, as a sharp blow to a point could easily cause the diamond to cleave (break). Polish, Polished, Polishing In diamond manufacturing, polishing can refer to the grinding of facets onto a partially made rough diamond, but more particularly the later stages of brillianteering. Polished Girdle A girdle which had been finely ground to a polished finish instead of the older and simpler matt finish left by bruting. Polish Lines Faint surface lines visible either as a result of imperfect polishing, or of grain lines in the diamond. Polish Mark A "burn mark", and area of slight cloudiness on the surface of a diamond caused by allowing it to become too hot when grinding or polishing it. Portuguese Blue A large and famous diamond owned by the Smithsonian Institution, which is neither Portuguese nor blue. Powder Usually referring to diamond powder used for polishing diamonds or other materials. Precious Having high or relatively high value, usually applied to gemstones, particularly the "big four", diamonds, emeralds, rubies, and sapphires, but also includes black opal. Price, Prices, Pricing Diamond pricing is extremely variable. Comparison pricing requires consideration of all aspects of quality. Princess A square or near square (oblong) diamond, which has been facetted in a brilliant cut style rather than a step cut. Production Current world production of gem diamonds is about 30 million carats (6,000 kg) of cut and polished stones annually, and over 100 million carats (20,000 kg) of diamonds are sold for industrial use each year. In 2003, this constituted total production of nearly US$9 billion in value. Prong American word for claw, as in gem setting. Proportion The consideration of the overall shape of a diamond taking each part in relation to all other parts. An important quality element for diamonds. Proportionscope A proprietary piece of equipment for assessing, demonstrating, and measuring the proportions of diamonds, and comparing them with ideal. Purity Another word for clarity. Purple A very rare and attractive fancy diamond colour. Quality As De Beers adverts state, it is as important in a diamond as anything else you own. Quarter The Jewellery Quarter in Hockley Birmingham (UK not Alabama), is renowned as one of the two main jewellery manufacturing centres in Britain. Quartz Sometimes used a an imitation or simulant for diamond, particularly the transparent colourless form known as rock crystal. Quintus Project The name of the ASEA project run by Baltzar von Platen to synthesize diamond. Von Platen's lab became known as the Quintuslaboratorium. Radiant Cut Radiant cuts combine the best of brilliant cuts, with a square emerald cut outline. Rap, Rapaport Martin Rapaport produces the Rapaport Diamond Report, a monthly magazine, and the world's leading trade diamond price list, diamond & jewellery news and information source. Ratner, Ratner's Trade mark owned by Signet Group PLC, owners of H. Samuel, Ernest Jones, and others. Ray A thin line or narrow beam of light. Red One of the rarest, and most desirable colours for diamond. Red Cross A famous diamond, strangely enough it is yellow. Reflection Important optical effect, whereby light bounces off a surface. Refraction Important optical effect, the deviation of light when it passes from one medium to another, e.g. air to diamond. See Refractive Index. Refractive Index, RI, R.I. A measure of the amount by which light will be refracted by a particular by a particular medium. Rhodium, Rhodium Plating Rhodium is a highly reflective silvery precious metal, one of the platinum group of metals, often used to plate over "white" gold alloys to enhance their whiteness, in and around diamond settings. Not usually needed on platinum. Rise and Fall of Diamonds Book by Edward Jay Epstein. River Obsolescent colour grading term from the SCAN DN (Scandinavian) system, equivalent to D and E colours in the GIA scale. Rough Rough is the word used to describe all uncut or unpolished diamonds. RTZ, R.T.Z., Rio Tinto Zinc The third largest diamond prospecting company. Owns the Argyle mine in Western Australia, Diavik in Canada, & Murowa project in Zimbabwe. Russia Russia overtook Botswana as the largest exporter of diamonds by volume in 2003. It's diamond production and trade figures were secret until recently. Ryan Thompson Editor of the "Famous Diamonds" website (on tripod), still the best website about its subject, large and famous diamonds. Much copied by many commercial jewellers and would-be experts. Sand A term used in sorting rough diamonds for size. It usually refers to stones under about 0.10 carats (10 points). Scaife A steel wheel which is diamond impregnated, for polishing diamonds. Pronounced skife, we have also seen the spelling skyf. Science To a scientist diamond is interesting for its range of exceptional and extreme properties. When compared to almost any other material, diamond almost always comes out on top. As well as being the hardest known material, it is also the least compressible, the stiffest material, the best thermal conductor with an extremely low thermal expansion, chemically inert to most acids and alkalis, transparent from the deep UV through the visible to the far infrared, and is one of the few materials known with a negative electron affinity. Sea A colour description used for certain fancy bluish green diamonds, also "Eau de Mer". Semi Precious, Semi-Precious An expression traditionally used to describe gemstones other than the "big four" of diamond, ruby, sapphire, and emerald, so would include opal, pearl, amethyst an more. CIBJO and others have advised that its use be discontinued, and all gemstones be termed "precious", a recommendation which has been almost universally ignored. Set The process of securing a diamond or other gem into a piece of jewellery is known as setting it. Setter Person who puts diamonds or other gems into jewellery mounts. Setting The process of fixing a gemstone into a mount to create a piece of jewellery. A setting is a word used by consumers to describe what a jeweller would call a mount. The word setting is sometimes used in referring to a collet. Shape A word often used interchangeably with "cut", although the two have different meanings. Shape should refer to the basic outline type, such as round, oval, square, princess, radiant, cushion, oblong, emerald, baguette, pear. Shapes A term used when sorting rough diamonds. "Shapes" are unbroken crystals, but of less regularity than "stones". Siberia Siberia has been a major source of diamonds for a long time, with new investments in existing mines set to increase production soon. Sierra Leone Diamonds are the most important export from Sierra Leone, although the country is still unstable following a long period of civil war. Sieve A device for sorting rough or polished diamonds by size. Diamond sieve sets have interchangeable sieve plates each drilled with a number of holes. Sight, Sights Each of the week long meetings which De Beers hold ten times each year for rough diamond buyers who attend by invitation. Sightholder, Sight-holder An individual or company which attends De Beers diamond selling meetings, known as sights. Signet A ring designed to carry a personal seal, often set with a diamond. Signet Group PLC is the name of Ratners PLC which owns H. Samuel and Ernest Jones in the UK. Silver White highly reflective metallic element, used in Victorian times for diamond setting, before the development of white gold alloys, and before platinum could be isolated. Silver Cape An obsolescent colour grading term denoting diamonds whiter, or less yellow than light cape. Silver Wedding Although silver is a traditional gift on the 25th wedding anniversary, a diamond eternity or other ring is often acquired. Simulate, Simulated, Simulant A simulant is anything, natural gemstone or synthetic, which imitates a diamond. Synthetic diamonds however are real diamonds, not simulants. Single Cut Confusingly, another name for eight cut diamonds, with 18 facets. Single Refraction Diamond is normally singly refractive, many gemstones are doubly refractive (bi-refringent), and diamonds can also be doubly refractive because of internal strain or inclusions. Skin Coating on the surface of many rough diamonds. 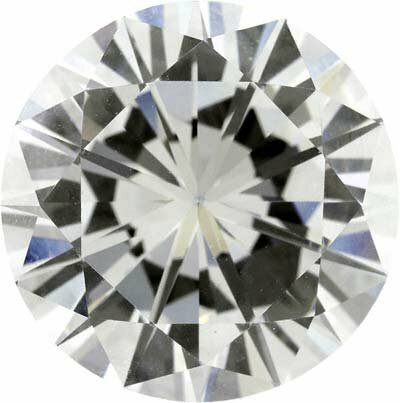 Slight Inclusions, SI, SI1, SI2 A clarity grade used by GIA and others, an SI stone should not have inclusions visible to the naked eye. SI3 A clarity grade between SI2 and P1 (I1), not recognised as yet by the GIA, but in use by EGL and Rapaport, plus most of the wholesale diamond trade. Small Slightly variable term used to describe size ranges of polished diamonds, usually meaning any weight under about 0.08 cts (8 points). Smalls A term used when sorting rough diamonds by size. Usually refers to stones of about one carat or over, depending on the general quality of the source. Smuggle, Smuggler, Smuggling Because of diamond's high value in relation to its size, diamonds are very easy to transport, either as personal wealth for evacuees, or for commercial smugglers. SOC, S.O.C. Initials of De Beers "Supplier of Choice" policy (q.v. ), actually a misnomer as it should really say "Customer of Choice". Solitaire A ring or other piece of jewellery containing a single diamond, or sometimes a single major diamond with smaller diamonds as embellishments. Sort To split rough or polished diamonds into grades depending on colour, clarity, size. Also to separate rough diamonds from their surrounding materials. South Africa Still one of the world's major source of diamonds, although its share of production has declined. It is now about 5th largest producer by weight, and 4th by value. SouthernEra Diamonds Inc. SouthernEra is engaged in diamond exploration in Canada, South Africa, Gabon, Australia and the Democratic Republic of Congo. It recovered its first Congolese diamonds in October 2005. Spam Some unsolicited commercial e-mail (spam) allegedly involves diamonds. Typically the vendor has £20 million worth of stolen diamonds he will sell you for 20% of their value in exchange for your help. Ignore! Specifications Following Tolkowsky, a number of individuals and organisations have published specifications for excellence in diamond cutting, particularly in relation to proportions and angles. Sperregebiet Sperregebiet means "Forbidden Territory", and is a part of Southern Namibia. It got its name after diamonds were discovered in 1908, in what was then German South West Africa. Spinel A natural gemstone which occurs in many colours. Synthetic white spinel was often used in the past as a diamond substitute. Spotted A clarity grade below P3 (I3), now in danger of become obsolete, as P3 appears to have been extended to include lower grades. Spread The diameter of a diamond or the normal weight equivalent assuming ideal proportions. Also used to describe a diamond which is cut too shallow, and therefore "spreads" more than it weighs. Star A fancy shape of polished diamond. A facet name. Small polished diamonds, usually under about one point (0.01 cts) each. Star Facet One of the eight facets adjacent to the table on a brilliant cut diamond, so called because they from an eight pointed star when viewed from above. Star of South Africa The first large diamond found in South Africa, at 84 carats rough, and 48 polished, it sparked the diamond rush. Also known as the Dudley diamond. Stars Small polished diamonds, usually under about one point (0.01 cts) each. Steinmetz The Steinmetz Diamond Group is a major diamond cutting and trading company. Step Cut A traditional method of facetting square, emerald and other shapes, the facets are in the form of sloping "steps", these cuts fail to capture most of the potential brilliance of diamonds, and will almost certainly be largely superseded by modified brilliant styles of cutting. Stone, Stones A general word for any gemstone including diamond. Also a shape grade used when sorting rough diamonds. A "stone" is an unbroken crystal of regular formation. Strategic Stockpile As with many essential commodities, the USA holds a strategic stockpile of diamonds. There is an interesting chapter in Epstein's book about supplies of diamonds during the second world war. Sunflower Cut One of a number of "flower cuts" developed by Gaby Tolkowsky in about 1997 for De Beers. Supermaterial There are many unusual, unique, or extreme properties of diamond which would qualify it as a supermaterial. Supplier of Choice A controversial De Beers policy to restrict its supply to customers who will carry out its policies regarding advertising promotion and branding, furthering claims about it monopolization of the diamond industry. Surat Major diamond polishing town in India. Surface Whether a polished diamond has a good surface, free of blemishes, is a quality factor. Surface Graining Usually parallel lines visible on the surface or facet edges of a diamond, similar to grain in wood. These grain lines reflect the structure of the diamond crystal, possibly an area of twinning, and may be due to imperfect polishing. Swaziland This African country is a fairly important diamond source. Swiss Cut Halfway between a brilliant and an eight cut, with 34 facets in total. Symmetrical, Symmetry In most cuts of diamond, symmetry is important and desirable. Syndicate One of the names by which De Beers, with its inter-related companies, is known. Many diamond syndicates have been formed at various periods of time, to purchase large important diamonds. Synthetic Real diamonds which have been manufactured rather than mined. Do not confuse with imitations. Table Cut A simple, obsolete cut with one "slice" cleaved or polished from (usually) an octahedral. forming a table as on a modern stone. Table Facet The top and largest facet on most diamonds including brilliant cuts. Tacy Tacy Ltd. Diamond Industry Consultants is a specialist strategic consultancy house and 'think-tank' exclusively serving the stakeholders in the international diamond industry. Publishers of Diamond Intelligence Briefs. Tang A tool or arm for holding a diamond while it is being ground or polished against a scaife. Tension Setting A method of setting diamonds and other gems using only the springiness of the mount to hold the stone firm. Can look quite spectacular but rather chunky and heavy; insecure otherwise. Best avoided in our opinion, or use small unobtrusive underbezel to achieve similar effect. Termite, Termites Prospectors have used termites, or their mounds to help detect diamonds. Termites burrow down to retrieve water, and carry back with them indicator minerals. Termite or Adam Ant? Tetrahedron Having four faces. Tetrahedral is one of the crystal forms of diamond. Thermoluminescence The property of diamonds and other materials to emit light when heated. Thickness Usually describing a girdle, and often expressed as a percentage of the height or depth of the diamond, often using relative terms such as "medium". Tiffany The name of a famous diamond, also a famous jeweller. Commonly used, presumably in breach of trade mark, for a particular style of diamond claw (prong) setting. Tolkowsky Usually referring to Marcel Tolkowsky who published his book "Diamond Design" in 1919, helping to revolutionise diamond cutting. Gaby (Gabi) Tolkowsky is also a famous diamond cutter. Tone An aspect of colour, important in grading fancy coloured diamonds. Top The part of the diamond above the pavilion, correctly called the "crown". Also a modifier used in descriptive colour grading systems, meaning better than or in the upper range of , e.g. top silver cape. Top Light Brown A relatively lightly coloured brownish diamond, often bordering on white. Top Silver Cape A diamond colour grade in obsolescent descriptive system, between commercial white and silver cape. Top Wesselton A diamond colour grade in obsolescent mainly Scandinavian system, referring to a diamond of a colour at the top end of what could be expected from the Wesselton Mine. Total Crap Famous words of Gerald Ratner, for which he will never be forgotten. Total Internal Reflection An optical effect when light travelling in a higher refractive index material hits a boundary with a lower refractive index, and is reflected totally. Important when calculating diamond cutting angles. Trading Company Usually referring to the "Diamond Trading Company", or DTC, part of De Beers. Translate, Translation Translation of the word diamond into a number of other languages. Transparent, Transparency Ideally, a diamond should be completely transparent, any opacity is undesirable. Trap Cut Also known as step cut. A traditional way to cut rectangular, octagonal or other non-round diamonds, including emerald cuts. Looses brilliance compared with more modern brilliant cut styles. Treated, Treatment Ignoring the fact that cutting and polishing of rough diamonds is a form of treatment, this usually refers to diamonds which have been processed in some way to enhance their colour or clarity. Triangle, Triangular, Trilliant, Trillion A diamond which is three sided viewed from above. May be step cut or modified brilliant cut. Trigon, Trigons Triangular marks, usually small, and quite common on surfaces of rough and polished diamonds, due to twinning and other crystal growth factors. Twin, Twinned, Twinning Twinning occurs when two or more crystals have formed together, where a single crystal has had a change in its crystal growth directions, or when negative crystal growth has taken place. Type, Types There are two main "types" of diamond, type 1 containing nitrogen, and type 2 without significant nitrogen. Each type has two sub-types, A and B.
UK, U.K., United Kingdom Home of Hatton Garden, London, and of one of De Beers main offices. Ultraviolet, UV, U.V. High frequency, short wavelength electromagnetic radiation, between visible light and X-rays. Uncut Uncut diamonds are usually referred to as "rough". It applies to all unpolished diamonds. Unpolished Unpolished diamonds are usually referred to as "rough". It applies to all uncut diamonds. Unmounted A diamond which is loose, not set in a piece of jewellery. Upper Girdle Facet Any of the sixteen facets on the crown (top), adjoining the girdle of a diamond. USA, U.S.A. The largest consumer market for diamonds. Vivid Used on colour grading of fancy coloured diamonds to denote the most intensely coloured stones, not the darkest. Vrijediamanthandel An Antwerp club and meeting place for dealers in polished and rough diamonds. VS, V.S., Very Slight Inclusions, VS1, VS2 Clarity grade for diamonds, between VVS and SI. Water An archaic term used to describe the quality of diamonds, as in the phrase "of the first (or finest) water", probably alluding to a combination of good colour and clarity. Water Clear A term sometimes used as a broad quality band in grading rough diamonds. Wedding The diamond wedding anniversary is often stated as the seventy fifth (75th), but a diamond jubilee is generally recognised as the sixtieth (60th) anniversary. Wedding Ring, Wedding Rings Wedding rings are often set with one or more diamonds, usually small. Weight, Weights The weigh of any diamond is normally expressed in carats. Wesselton South African diamond mine, also near obsolete name of a diamond colour. West 47th Street West 47th Street is the central location of the diamond industry in New York and the USA. Wettability Diamond is highly resistant to wetting by water. We will attempt to add a scientific explanation of this phenomenon at a later date. WFDB, W.F.D.B., World Federation of Diamond Bourses See our Bourse page. White When we rather lazily refer to diamonds as white, we actually mean colourless. White Diamond The name of Werner Herzog's film about British engineer Graham Dorrington's air-ship expedition over Guyana. White Diamonds White Diamonds is the name of a fragrance marketed under Elizabeth Taylor's name. White Light Light containing a balanced full spectrum of colours, so that it appears colourless. Window A small facet polished on a rough diamond, through its skin, to allow a diamanteer to observe and map any internal features of the diamond prior to cutting. Also an area of a gemstone which "leaks" light or colour usually due to poor, often shallow, cutting. Winston, Harry Jeweller with a store on Rodeo Drive, Beverley Hills, who is known as the "Jeweler to the Stars". Wisp An inclusion or clarity feature due to twinning, an irregularity in the crystal growth. WDC, W.D.C., World Diamond Council Formed in July 2000 by the World Federation of Diamond Bourses and the International Diamond Manufacturers Association at their Antwerp meeting. Xenon Xenon, a rare inert gas has been found in nano-diamonds recovered from meteorites. Although some diamonds may be formed as a result of the collision between meteorites and the earth, others contain xenon isotopes which are not know on earth, and presumably were formed in deep space. X-Ray, Xray, Xrays, X-Rays Used to sort rough diamonds because most diamonds fluoresce when exposed to X-rays. YAG, Y.A.G. Y.A.G. stands for Yttrium Aluminium Garnet, used as a somewhat unconvincing diamond simulant before cubic zirconia. Yellow Most diamonds contain nitrogen which gives them a slight yellow tinge. More intense yellow diamonds are considered as fancy coloured, making them rare and valuable. Yellow Ground Weathered kimberlite rock, normally diamondiferous, and named after Kimberley in South Africa. Zaire The name of the Democratic Republic of the Congo from 1965 to 1997. Produces a large proportion of the world production of industrial diamonds. Zinnia Cut One of a number of "flower cuts" developed by Gaby Tolkowsky in about 1997 for De Beers. Zircon Rare, natural blue gemstone. Do not confuse it with Cubic Zirconia. Zirconia Usually referring to Cubic Zirconia. ZrO2 Zirconium Oxide, or more accurately Zirconium Dioxide, also called zirconia, when crystallised in cubic system, it is known as Cubic Zirconia, the most successful imitation diamond.